On the early morning of March 26, 2019 at 3:03 am, our lives drastically changed with no warning. The night before this scary yet beautiful event my wife, Grace, was experiencing extreme abdominal pain that we confused as a possible kidney stone passing. While waiting for hours in the ER we never would of believed what we were about to go through. After being assigned a room the doctor and nurse couldn't figure out the reason for the pain. The doctor then requested for Grace to lay on her back for a ladies exam. The second she laid down her water broke. With utter confusion I sat there trying to be the most supportive husband I could. Seconds later half a dozen doctors flooded into the room. It was go time and everyone but myself and Grace knew what to do. They moved us into an operating room so Micaela Grace Mawn could enter the world safety. As I sat there witnessing all of this, my 20 year old self became confused, scared, and emotional. My little girl snuck her way into this world without either of us knowing at all! Grace has had her normal monthly cycle, has not gained any noticeable weight, and passed a pregnancy test back in January when she went on birth control. My wife and I were thrusted into parenthood in one night with no warning or preparation. We never had the opportunity to discover my wife was pregnant, have a baby shower, have a gender reveal, or prepare to raise a child. When I stared at my little girl's face this overpowering love, compassion and shock went through every ounce of my being. As time moved on it felt like the weight of the world was on my shoulders. I myself am an Airman First Class (E3) in the US Air Force and my wife is a Chick-Fil-A Catering Manager. We didn't have months to save up money and prepare for a baby so we both ask from the bottom of our hearts for some help. 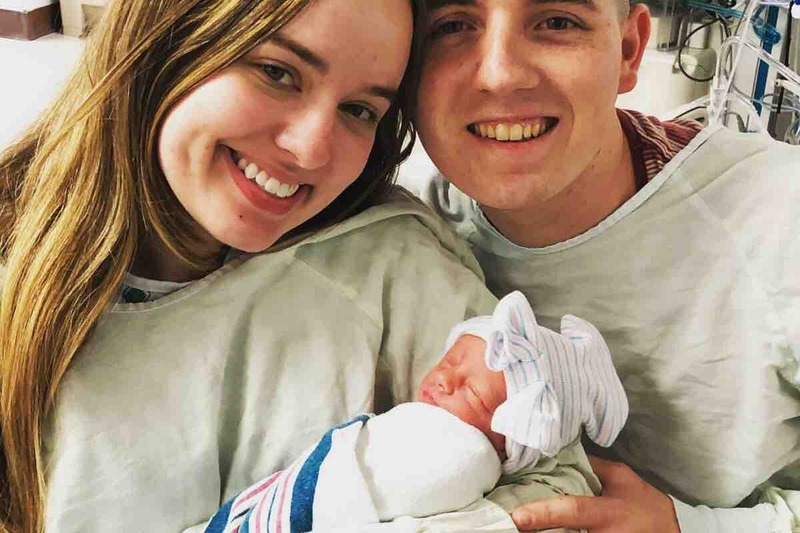 Any amount of money would be going to ensuring Micaela Grace Mawn is taken care of and given the necessities that a little girl deserves to grow up happy and healthy. God blessed us with Micaela and I know He will provide. So if you feel in your heart the pull to contribute to helping us raise this miraculous baby girl please leave a gift below and your name so that we can tell Micaela about all the amazing people who showed up to help support and raise her in a moments notice. Grace and I thank you from the bottom of our heart for your generosity, prayers, and support. We couldn't do this without you!